When you have people trying to run for governor of a state and they don’t even know what kind of technology another person is using, let me tell you folks, that’s pretty damn scary to me. But I have to say that my favorite part in this debate is the actual break, where Florida Republican gubernatorial candidate Rick Scott, mistakes a Motorola Droid for a Blackberry, and then later an iPad. So we can get notes? We can have people that work for us come give us messages? Watch…watch. Right there with a Blackberry. First Alex, you say you always follow the rules,” he said. “The rule was no one was supposed to give us messages during the break, and your campaign did with an iPad or an iPod. HOLY Jesus! 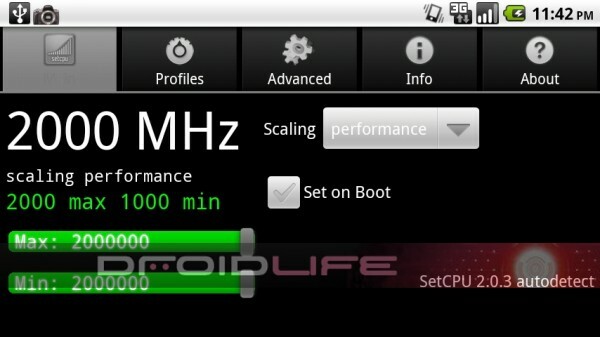 Droid 2 Overclocked To 2.5GHz! Droid X at 2GHz! You read right. According to Droidlife, Matt4542 and Joe of Team DeFuse are hard at work making these speeds possible via their custom cooked rom, “Fission”. I’ve yet to see any official benchmarking at these speeds, so color me skeptical. Hit the link for information on how you too can get your little phone clocked to hell and back. When Verizon announced the Droid 2 earlier this week, they also mentioned there would be a special R2-D2 edition of the phone, but on the press release they show no pictures of it! People were wondering what happened but by coincidence there is a Star Wars convention that started yesterday, so will they show more to all the Star War fans? The official website for the R2-D2 Droid is still not updated with any picture but if you look at the picture above, you can see that R2-D2 Droid is indeed there, hidden in the background. The Droid 2 goes on sale today in stores for those who did not pre-order before, anyone holding out for a R2-D2 one? The Droid that started it all has finally got the update it deserves. Look at the screenshots above, that is Android 2.2 on the Droid and for all you Droid users, it is available now to download manually. It will be coming soon OTA but who wants to wait for that when you can get it now! 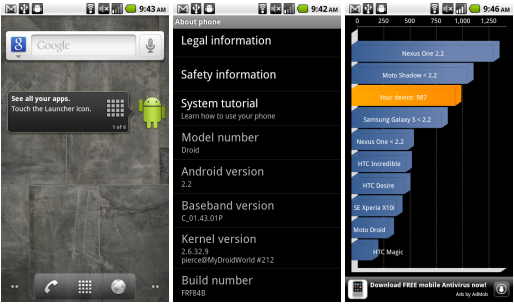 Any users who want to take the plunge, head on over to Droid-Life where they have the links and instructions to get 2.2 on your Droid. Let us know how it runs in the comments! 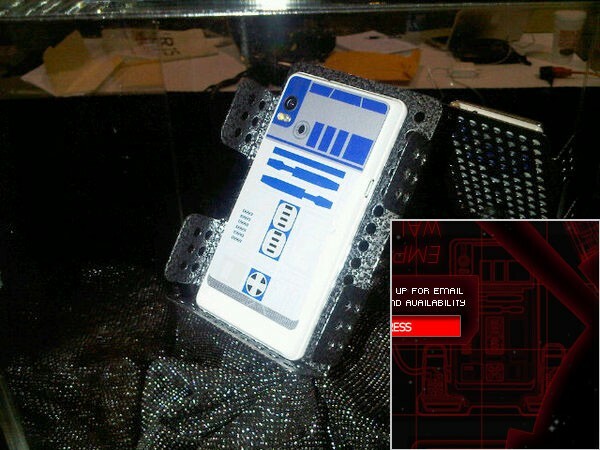 We have already learned so much about the upcoming Droid 2. 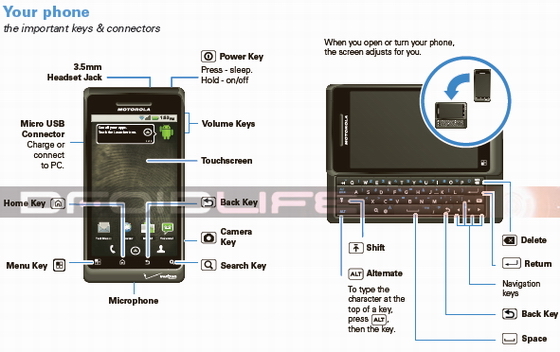 We saw some leaked specs which show it using the same OMAP 3600 series processor as the Droid X, 5MP Camera (which hopefully is 8MP by launch), and a new and improved slide out keyboard. The fun doesn’t stop there. 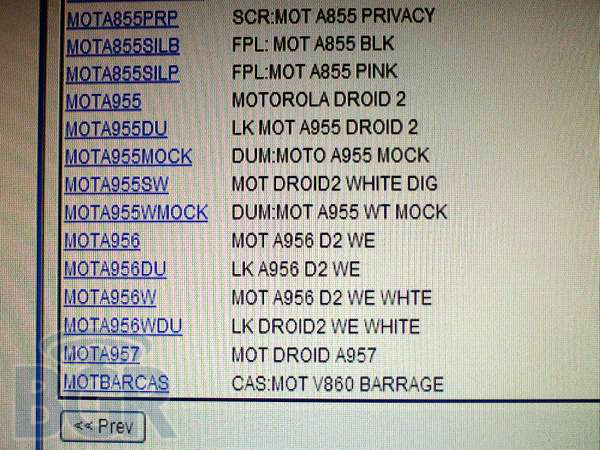 A leaked user guide shows that the Motorola Droid 2 will have the same Motoblur style interface you find on the Droid X and it will be runnin Froyo at launch. 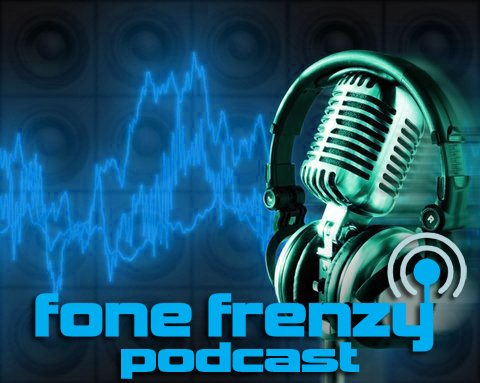 The good news is that it will have Android 2.2 and that it seems like the launch is getting close. The bad news is that it looks like there won’t be any more stock Android devices for sale anymore. 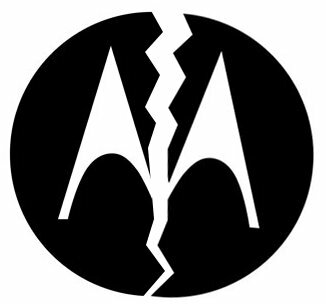 The last three(G1, Droid 1, and Nexus One) are either no longer for sale or will probably be updated to this new Motoblur. I don’t hate it, but some do. Now if we could just get the Droid 2 and X on AT&T, Sprint, and T-Mobile then life would be good. Looks like it is a busy day for Froyo leaks over at the XDA dev forums. 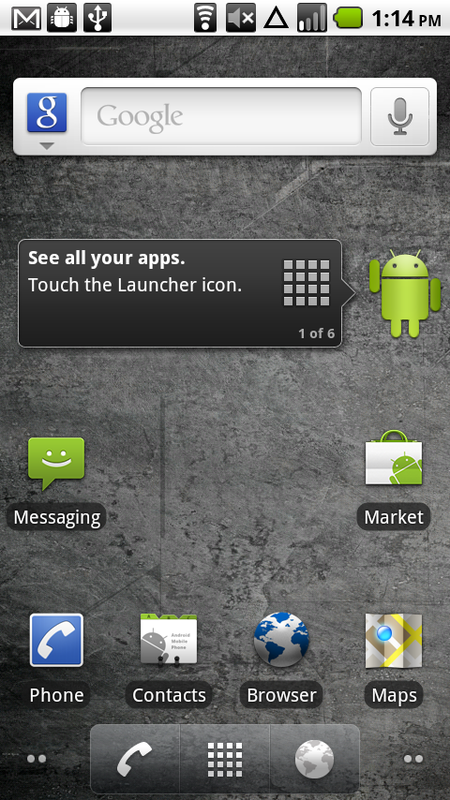 Today both the Samsung Galaxy S and Droid Incredible got a full shot of Android 2.2, the latter with Sense UI support. So far, everything seems to be working fine but just in case you notice something funny, head on over to our forums to post your info. Droid Incredible: You can pick up the download file here. Galaxy S: The download for the Galaxy S is set to be up at 12:00 Amsterdam time (that’s 6 a.m. EDT/ 3 a.m. PDT), and you’ll be able to find it at Samsung Firmwares. Warning: This isn’t for your Vibrant or Captivate.